Are You Searching for Quality Storage Facilities? Here's What to Look For. 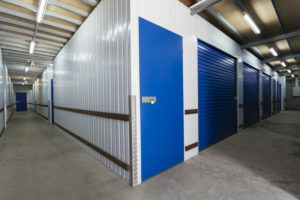 While you might think that all storage facilities are the same, in reality, there are often distinct differences. Because some of these differences are critical, you need to have specific information.  Please take time to review the information provided so that you will have no problem choosing the right facility based on your specific needs. Security – Security is at the top of the list when looking for quality storage facilities. Prior to making a commitment to any facility, take a guided tour so that you have the opportunity to ask questions. In particular, you should be looking at storage facilities that have state-of-the-art surveillance, a locked gate accessible only with a secure code, and preferably, on-site personnel 24 hours a day. Locks – Depending on the storage company, a lock may be assigned to you or you would be required to purchase one on your own. Regardless, always select a disc, cylinder, or closed-shackle type lock. The reason is that padlocks and other standard locks are easy to pick or break into. Therefore, if storage facilities offer you a lock that can be picked or broken easily, verify that you are allowed to use a different lock of your choosing. Unit Size – You also need to identify storage facilities that have the size of unit needed. For instance, when storing heavy items, including furniture, appliances, auto parts, and so on, you want a larger unit. Even when storing boxes and plastic bins, it is recommended to go up one size on the unit. That way, you have some room to move around when trying to locate something inside. Climate Controlled – Some storage facilities have climate-controlled units and others do not. If you plan to store anything that is sensitive to temperature and humidity, a climate-controlled unit is essential. As an example, artwork, leather items, and wood furniture all need to be in a unit with controlled temperature. When choosing this type of unit, be sure that you never store anything inside of plastic bags, as this would foster humidity. Insurance Protection – You also need to know if different storage facilities offer insurance protection or if this is something that you would have to secure. In some cases, an existing homeowner or renter’s insurance policy will cover items stored at a facility but not always. Auctions – Learn the facts about auctions for the different storage facilities being considered. By law, these facilities must follow certain steps once a tenant stops paying rent. Although you have no intention of falling behind on payments, it is always best to have information on everything just in case. Do you live in the Boston Metropolitan Area including Providence, Rhode Island? If so, contact us today. We can help solve your storage solutions. Call us today at 508-528-4111.